The guide was prepared for Auckland Transport Walking & Cycling; Auckland Council Parks & Open Spaces by Resilio Studio and MRCagney. The judges decsribed it as " More than a design guide" saying "this documents challenges us to think creatively in how we approach our integrated pathway connections, while at the same time providing us with the useful tools to do exactly that. 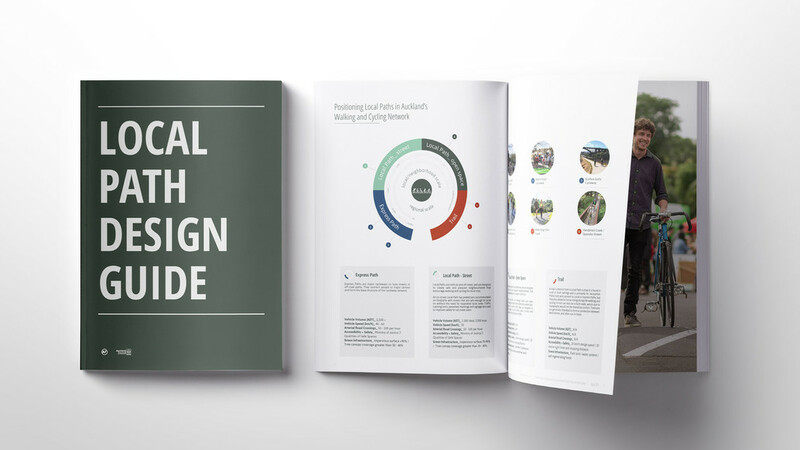 Not just for designers, it is for anyone championing good people connections within our cities; politicians, policy makers, and design champions will make good use of the Local Path Design Guide." We are incredibly proud of the guide and thrilled with the recogntion. The entire document is available online here.